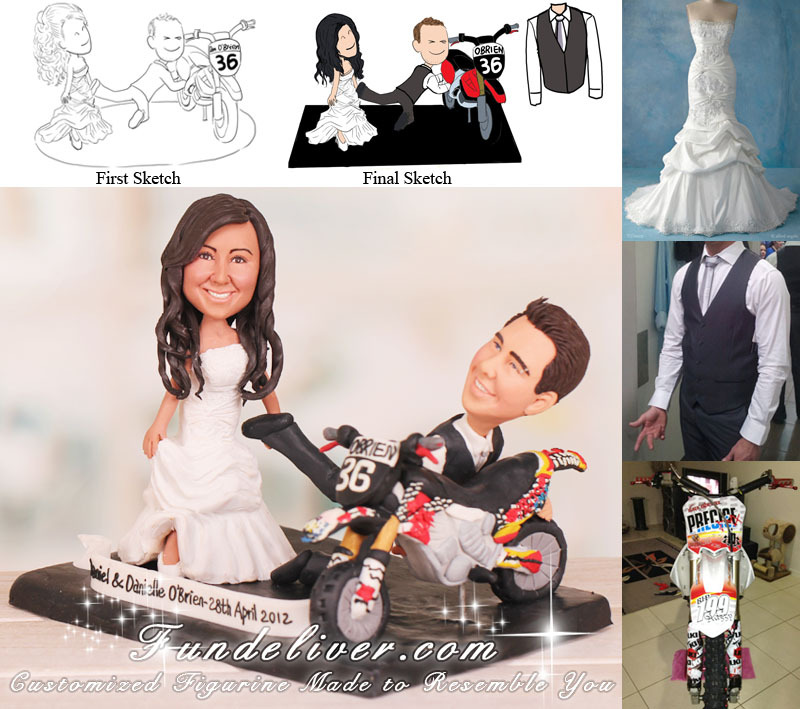 This is a completely customized bride dragging groom off the bike wedding cake topper ordered by one of our customers. They really love the topper with the wife dragging the husband off the bike, so they would like a similar one with the bride’s figurine in her wedding dress and the groom’s figurine in his charcoal vest, pant and white shirt. The groom has a Yamaha motorbike. The sticker kit on his bike is very detailed, you can check above image for more information. They also would like to put "Dan O'Brien" and the number "36" on the front number plate of his bike. Do you like to ride motorbike? Are you looking for a topper which can get your favorite bike involved? 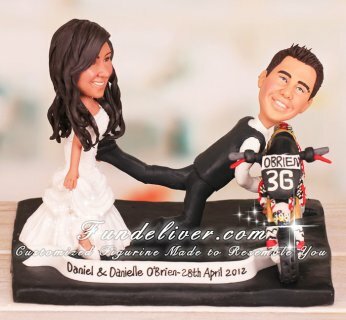 This wife dragging husband off the bike cake topper will be your perfect choice.